The bedroom is a haven where one retires after a hard day at work and the bed is the nucleus of the room. It is imperative to choose the right type of bed to experience utmost relaxation while sleeping; as we all know how it feels after an uneasy night. There are different types of beds in the market with (i) headboard and basic frame, (ii) headboard and side rails, (iii) headboard and footboard, (iv) platform and a lot of bewilderment for selection. Here we have assembled a few options of most sought-after bed types that best suit consumer needs. Traditional beds are a common type of bed that has been around since the 16th century. The two famous styles that are still adored by people are four-poster and canopy. A four-poster bed has ornamental posters, one at each corner of the bed. Sometimes, the posters support an upper panel connecting them at the top. These kinds of beds are called canopy beds. Given their grandiose style, these beds look best in rooms with tall ceilings. Available only in twin size, a day bed acts as a sofa during the day and a bed at night. It is enclosed on three sides with the headboard, the footboard, and the sideboard. The design of day beds makes it an ideal option for small homes that are limited on space. The open space below the bed can serve as storage for household items. If nicely decorated with colorful cushions, day beds would not look out of place in a living room and make more than a relaxed seating option. Socializing is an inevitable part of one’s life; and more the guests, the merrier it gets! On such occasions, having a highly practical bed is a must. A guest bed serves the purpose as it features a second mattress under the mainframe. It serves as a single bed on a normal day while allowing the guests to sleep in comfort on days otherwise. Owing to their design, guest beds generally do not have storage space. A mid-sleeper bed is another space-saving brainwave for small homes. They are popular among children and singles. They give the benefit of bigger space underneath the bed and with a ladder at the side. The area below serves as an office space for adults and study desks for kids. You can also make a play area for kids such as tents, castles or forts to keep the child engaged. Plus, who doesn’t like the novelty of climbing up the ladder to go into bed? Bunk beds need no introduction. A famous design among families with more than one children, bunk beds accommodate two mattresses one above the other with the two frames connected by a ladder. It is a kind of trundle bed that allows an extra bed when necessary without wasting space when it is not. Bunk beds are ideal for siblings or kids who enjoy sleepovers. Some beds can be separated into two single beds; a great money saving option for families where kids grow up and require separate beds. Convertible beds are multi-functional. They are basically a sofa that converts into a bed at night. The two celebrated types are futon and sofa-bed. A futon has only the backrest which slides down to serve as a bed. It is available in various styles and sizes though it is fairly expensive. Another great convertible bed is sofa-bed. It is a sleeper sofa where either you can pull-out a mattress from the sofa to make a bed or simply adjust the sofa back downward creating one flat surface area for the bed with side arms. The distinctive curved shape of the headboard and the footboard resemble the arch of an antiquated sleigh, giving this type of bed its name. The sides of the bed frame are larger than most beds. The height of the bed is standard but some sleigh beds may have less storage under the bed while some feature a big gap to store household items. Considering their size and elegant design, these beds look best in wide open rooms. An antique-style French bed has a type of bed frame with decorative detailing and intricate design that gives it an 18th century feel. The entire frame is made of wood or brass giving it sturdiness while also exuding sophistication. 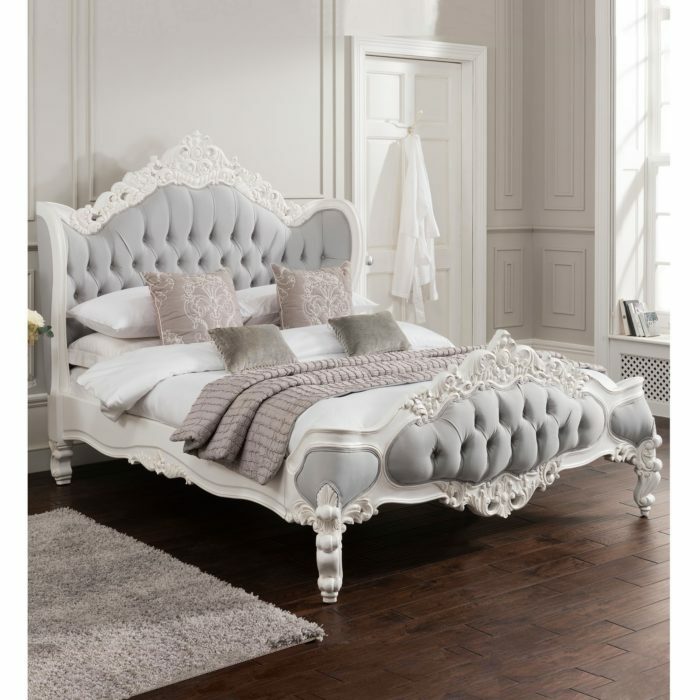 Antique beds are inspired by the Victorian era and one needs an open and well-lit room to relish the style of these bed. They are available in metal frames with sleek curves or wooden frames with a rustic appearance. Everybody knows an ottoman and its storage functionality. Now imagine a big ottoman bed! 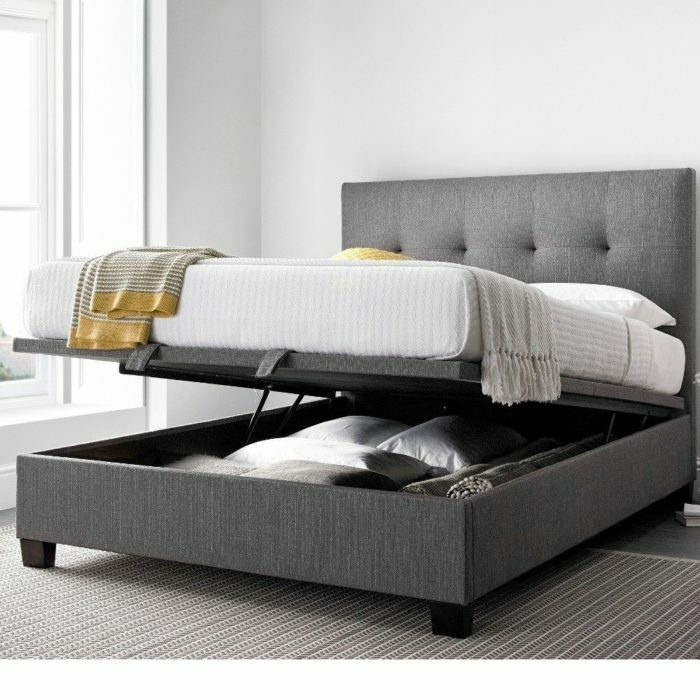 As functional as it is stylish, an ottoman bed enables you to easily lift the base of the bed along with the mattress. No matter the number of pillows and blankets you have, one simple lift and you have access to indefinite space under the bed. It is available in leather or wooden frame and is ideal for storing big items such as musical instruments, extra luggage to name just a few. The most contemporary design for space utilization is offered by Murphy beds. 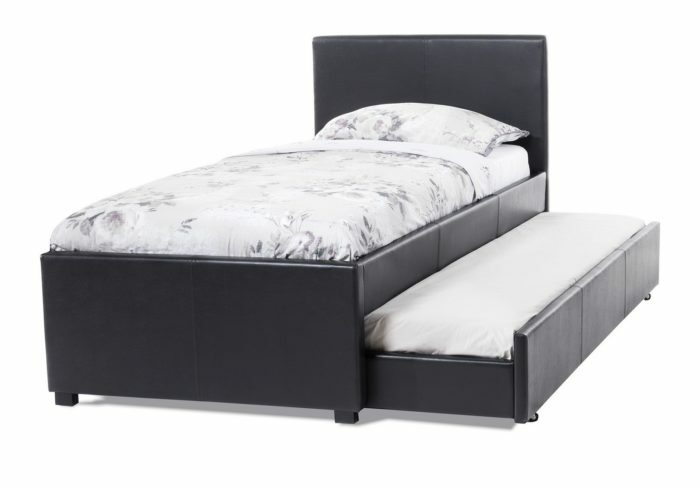 The entire frame of this bed type is hinged such that the bed itself can be titled vertically and stored in a cabinet. Viola! 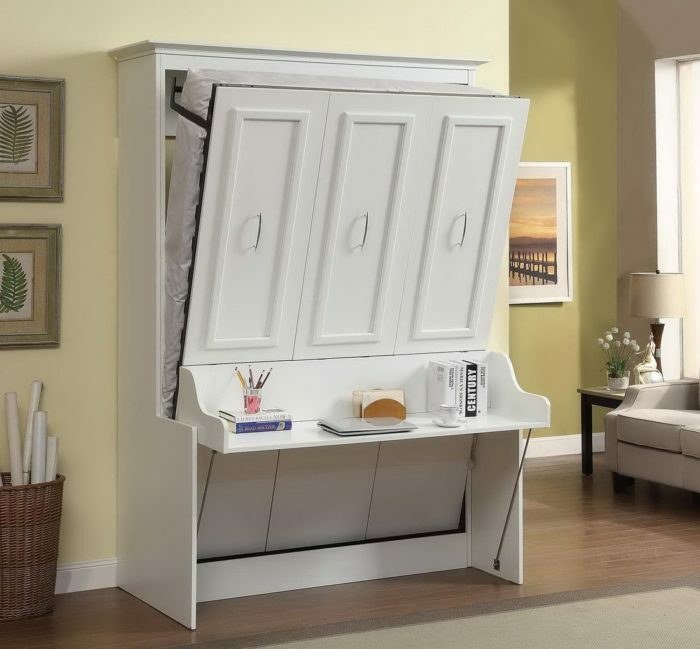 They serve as desks or wall units during the day and transform into beds at night. It is a kind of platform bed that has clean lines, a headboard but no footboard. Platform beds utilize slats for support which helps in offering this design its unique ability to fold. There is no ‘one-size fits all’ type of bed. That’s why god gave a half-dozen different sizes of beds. Have you selected the right bed for you? We hope Bed Hound did its bit in helping you pick the best bed type for you!